A networking equipment malfunction has disrupted Twitter, causing the microblogging site to become unavailable to users for hours on Wednesday and forcing company engineers to shut down key features to perform the repairs. The technical problems have also affected third-party applications that use Twitter APIs (application programming interfaces). 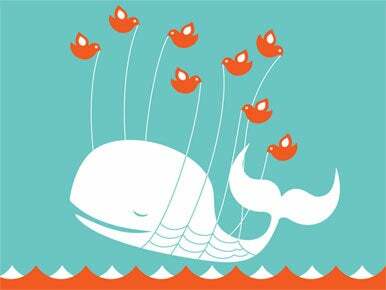 Twitter started displaying its notorious “fail whale” error page to its site visitors late Wednesday morning U.S. Eastern Time, saying its system was overtaxed. The company acknowledged the problem around noon in its Twitter Status blog, and over the next 90 minutes or so it posted several updates, alerting users about the performance problems and about features, such as its search engine, that it was disabling to fix the issues. Twitter declared the problem fixed at 1:30 p.m., but four hours later the availability problems re-emerged, a development the company blamed on the same networking glitch they had addressed earlier in the day. It’s the second day in a row in which Twitter’s service has run into performance problems. On Tuesday, Twitter.com and third-party applications were unavailable for about one hour. Outages at Twitter get intense, widespread and instant attention thanks to the service’s massive usage. In May, users posted 2 billion “tweets,” according to Web uptime monitoring company Pingdom. That is double the number of tweets posted in December of last year. Twitter has become the preferred service for posting brief text status updates on the Web among individuals interested in “tweeting” about personal matters and among organizations and celebrities promoting their brands, products and projects.